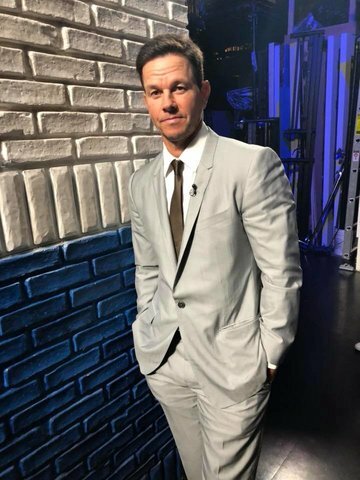 Mark Wahlberg hasn’t always had it easy, a highschool dropout who served prison time to now one of the most recognized names in Hollywood. Mark recently came to town Miami that is to film his latest movie “Pain and Gain.” He is expected to be here for the next 3 months filming the latest Michael Bay movie. Mar - 21 | Posted by: Barb Merryfield | no comments. UK diners, who are looking for some Mark Wahlberg celebrity dish, are in for a tasty treat. The “Contraband” actor is planning to open a chain of his “Wahlburgers” restaurants across England later this year. This is a big move for “Wahlburgers,” which opened its first restaurant in Hingham, Massachusetts just last fall, but the 40-year-old star isn’t worried. According to Wahlberg, business is sizzling and its time to expand. Aug - 08 | Posted by: KHL Staff | no comments. Hollywood Dad, Mark Wahlberg was out in Brentwood, CA yesterday taking son Michael to karate class. Mark’s latest comedy “The Other Guys” with Will Farrell and Eva Mendes hit theaters Friday and made its way quickly to number 1 at the box office. Aug - 03 | Posted by: KHL Staff | no comments. Mark Wahlberg, Eva Mendes and Will Ferrell attended the NYC premiere of their new movie”The Other Guys.” The movie is an action, comedy and also stars Samuel L. Jackson and Michael Keaton. The movie hits theaters nationwide this Friday.